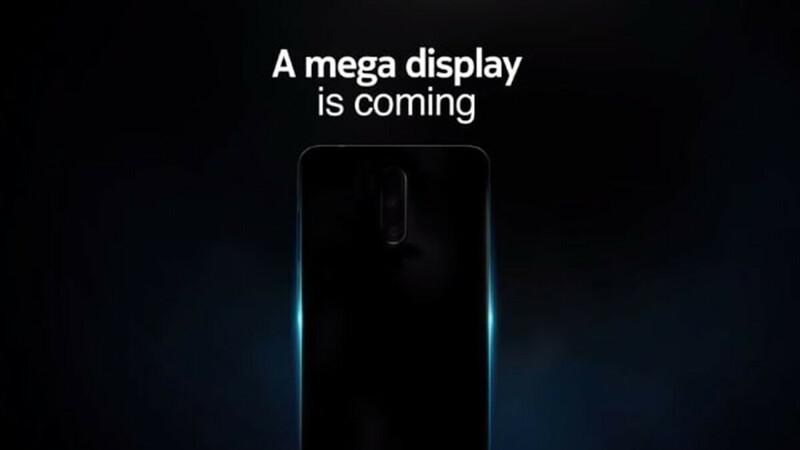 Nokia teases something with a "mega display", could it be the Nokia 7.1 Plus? Nokia is seemingly brewing something carrying a "mega display", and there's a high chance it might be the Nokia 7.1 Plus. Let us give you the full scoop. A couple of days ago, Nokia officially unveiled the US-bound Android One-powered Nokia 7.1 to the world, a totally not-too-shabby mid-ranger. One of the signature features of this devices was nothing else but its HDR10-compliant 5.84" display, which is not something we've grown accustomed to in the mid-range segment, especially at the $349 starting price tag. Aside from the display itself, the Nokia 7.1 remains a cost-conscious device with adequate hardware, including a Snapdragon 636, 3/4GB of RAM, 32/64GB of storage, as well as dual cameras at the front and back. As we said, all of this runs stock Android and will be available in the US. 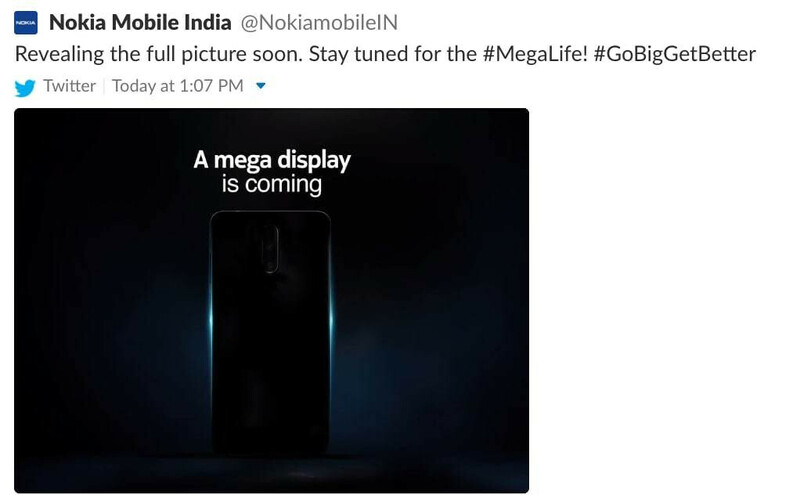 The teaser in question was posted by Nokia's Indian branch and was since deleted, which could very well hint that the Nokia 7 Plus or whatever device ends up getting that "mega" display will be an India-exclusive one. It takes little imagination to assume the company could have teased the Nokia 7.1 Plus that we've been hearing about in the past month or so. According to rumors, the Nokia 7.1 Plus will likely carry a 6.18" display, which is not exactly something we'd call "mega", especially in the wake of 6.5" iPhones and 6.4" Galaxies, but still, the upcoming phone would be a slightly bigger option for those unfazed by larger devices. The teaser was posted by Nokia's Indian branch and was since deleted, which could very well hint that the Nokia 7 Plus or whatever device ends up getting that "mega" display will be an India-exclusive one. This could be unfortunate for all those liking the overall Nokia 7.1 package, but craving for a slightly larger display to consume their media on. As we know more, so will you. HMD is cranking out the Nokia branded smartphones, and it seems like they are catering to the needs of specific regions, which is a good thing to continue to sell smartphones. This possibly could be the Nokia 7.1 Plus, which is the successor to the Nokia 7 Plus. Eager to learn more about this. I would love a 7.1 Plus except for its Notch and Glass back. I really admired the 7 Plus coz of how traditionally awesome it was for the price. In fact, I couldn't find a single device that could rival it's specs for similar or better price. Not even the Mi A2. As that phone also included a measly 3000 mAh battery. You've just comparing $380 Nokia with $250 Xiaomi, try compare it with Pocophone F1 or Mi 8 / 8 SE, it's closer on price range. I was just trying to prove my own point. I didn't say the Mi A2 was a disappointment for not including a larger battery (although it was). I just said the 7 Plus hqd no similar competition. And for the record, even Xiaomi's cheaper phones have a 4000 mAh battery so it's not like Xiaomi couldn't have included it in the Mi A2. I'm glad Nokia FINALLY decided to release another product in the US, but I definitely wouldn't have mind having the 7 Plus. I like how it's designed. This is a great time to be a stock Android fan because these are good options. The best thing about Nokia is that they aren't just relying on nostalgia to sell their products at a ridiculously high price. These are affordable and priced reasonably well. Will keep an eye on it specs and price. Nokia should add somthing unique to this phone snapdragon 855, 10 gig of ram, pureview camera, 512gb storage and android pie. If only other stock Android OEM's made devices as price conscious as HMD does with their Nokia branded smartphones that also offers great build quality, great design, and great software support without the plethora of bugs that has been plaguing the largest stock Android OEM for two generations of their smartphones now. Great job, HMD. If only other OEMs that were successful in the past offered devices as affordable as the Nokia phones. If they can't even be bothered to keep their products updated, why charge more for a lesser experience? Not trying to be a mean jerk or anything. Just posting the facts. If only certain OEM’s were as successful as HMD when first coming out, instead of offering a half baked product to the masses that’s full of bugs and is a beta release, and will soon be closing up shop because of it. They offered a stock Android product, and thought that they could rest on the laurels of having someone that created Android, with exorbitant launch price in tow, instead of making sure their product was fully out of beta before its release. Add in the fact that they should have priced it much mite affordably, and you now have massive fire sales going on with this handset as the company has cancelled any plans to make a successor and probably won’t be around next year. This is what happens when you charge more for a half baked experience. Not trying to be idiot imp using multiple accounts or anything, just posting the facts.